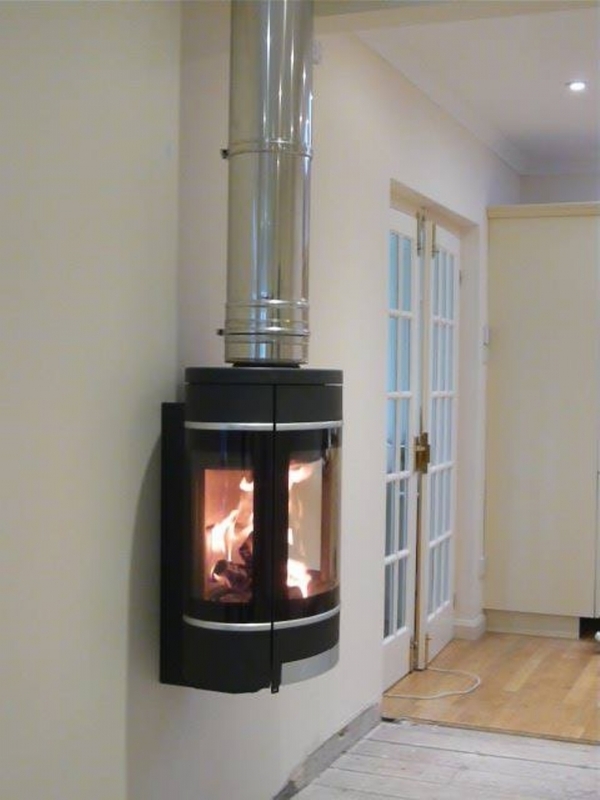 Scan 58 woodburner wall hung wood burning stove installation from Kernow Fires. 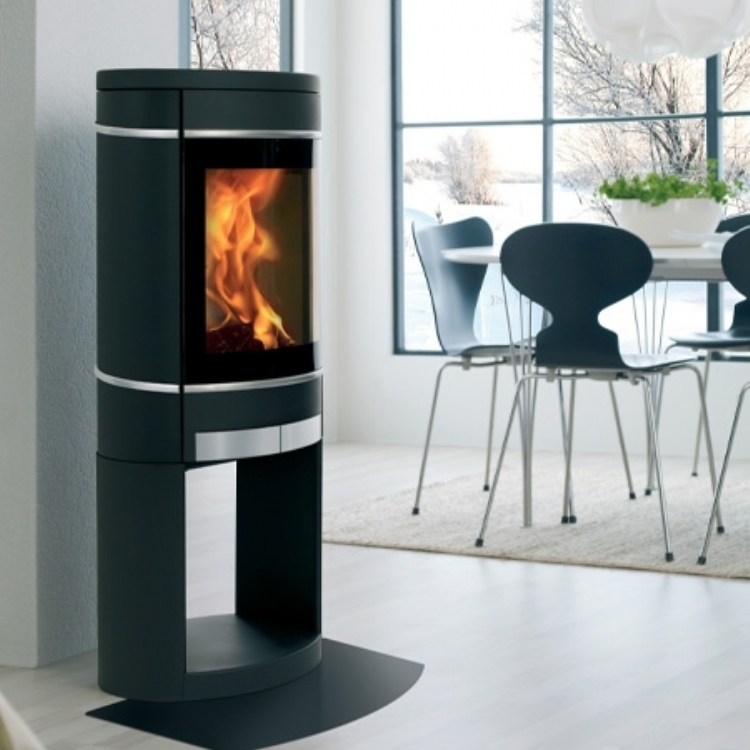 The Scan 58 is a modern wood burner which can be wall hung or floor mounted. 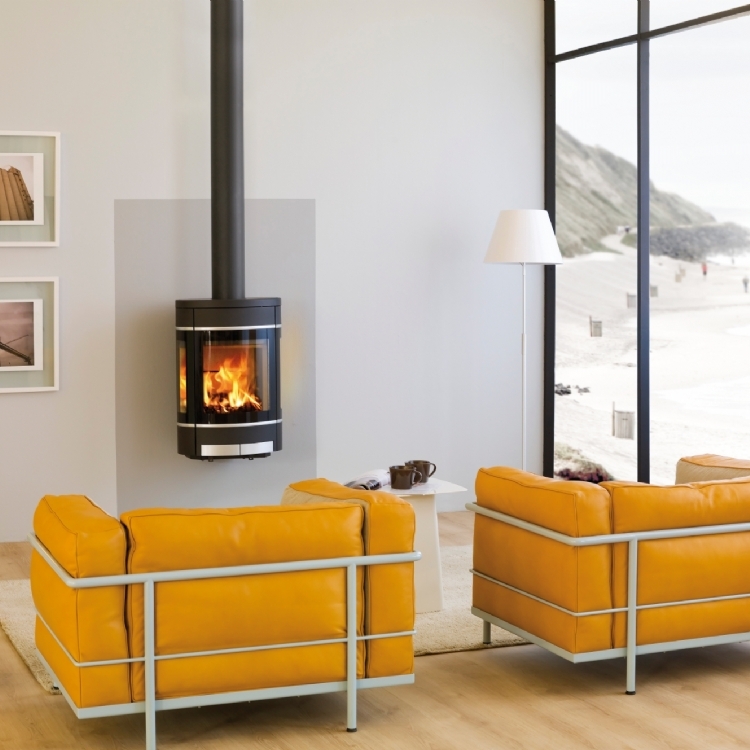 The chimney has been created using a twin wall flue system which continues through the house to outside to regulation height.